1. Which weekend are you going? 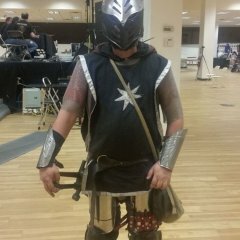 So I hit the Ren Faire every year, and I know many other Novitas players to, as well as possibly those in Dag and other events I'm not a part of. I thought it might be a cool idea to just throw this on the forums so that people could find out who's going when if they want to meet up while they roam the faire. I haven't decided when I'm going yet, but will eventually. I'm also planning on going! But I don't have any idea of when yet. for me its a matter of what time I will be in town and if im up for more traveling. Yeah I noticed that….I guess I should delete the poll. I expected it to be like Facebook. Changed it to a public poll. See if that works.